However, finding a cozy bed for side snoozing isn't that simple. Getting a refreshing rest in fetal position requires a mattress with balanced sinkage and support. That's why most side sleepers prefer to test the sleep surface in a showroom before bringing the mattress home. So, what's the secret recipe for a snug side sleeping mattress? Test the sleep surfaces for these eight factors and enjoy your ZZZs without a care in the world. The two-minute test in a store cannot get you the best mattress for side sleeping. Therefore, be ready to spend at least 15-20 minutes test-driving each product. And, while you lie on each sleep surface, note the following factors to find the best fit. 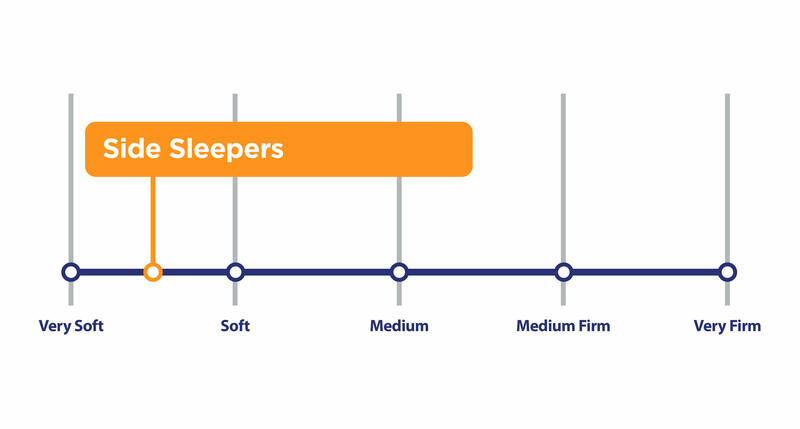 Firmness level is highly subjective, but most side sleepers find their perfect match anywhere from Soft to Medium-Firm comfort level. However, it's better to ignore the mattress firmness labels. Instead, lie on your favorite side for 10-15 minutes on each mattress. Note any discomfort or numbness after lying for an extended time. A softer mattress suits the side sleepers, the best. If you are overweight or like a firm mattress, choose a medium-firm mattress. For a firm one, consider the presence of quilted cover or pillow top to experience some extra give. However, a very soft mattress dips too deep and fails to maintain proper postural alignment. You can also consider custom-made mattresses like Helix, Business Insider's best for side sleeping. Or else, opt for fully customizable ones like Morphiis and Spindle. 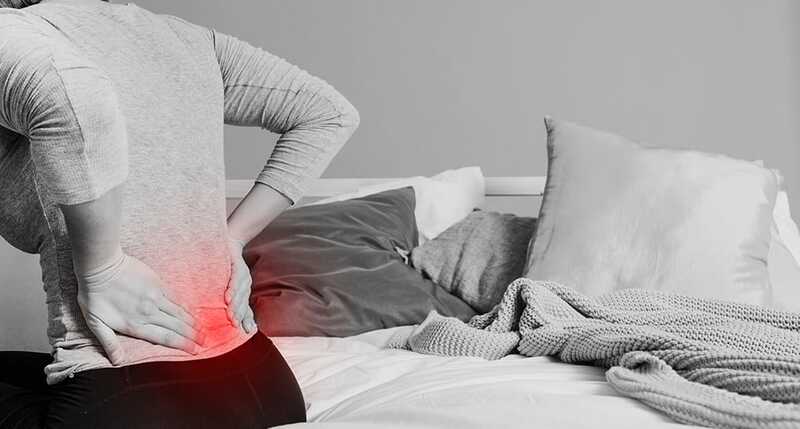 They are best for lower back pain in side sleepers. Pressure points formation is the most prominent side sleeping woe. Since all your body weight is concentrated on the curves at your sides, they tend to become sore if the mattress doesn't sink. 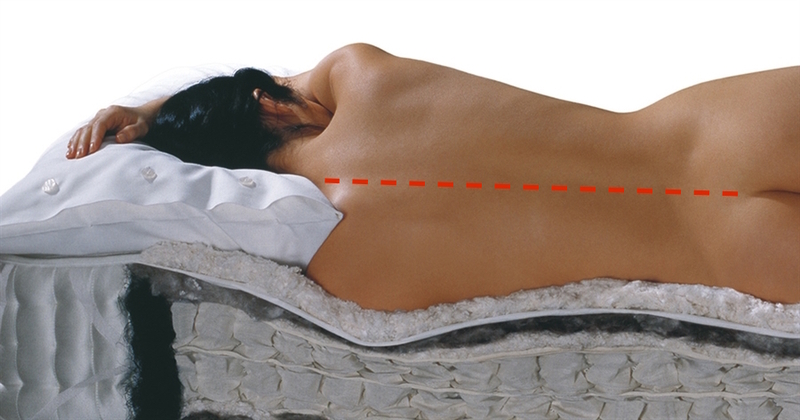 Ideal sleep surface for side sleepers compresses just enough to prevent discomfort in shoulders and hips. These are the two major body parts you've to focus while in-store mattress testing. Lie on your preferred side for ten minutes without shifting position. Note formation of any pressure points along your side. As you change position after some time, see if you can move your arms and legs comfortably. There should be no discomfort or soreness afterward. The Purple is known for being the ultimate "no pressure" mattress, a remarkable choice for side sleepers of all body shapes and size. Contouring is very important as you lie on your sides. You should experience instant pressure-relief with a sensation similar to "lying on a cloud." Close your eyes and feel the mattress against your body. From shoulders down to the hips, you should feel the foam hugging your figure without any gaps. If the sleep surface closely follows your curves, you feel well supported irrespective of the pressure exerted by your body. Viscoelastic foams and pocketed springs both provide this targeted support, crucial for side sleepers. The Nectar is an excellent mattress for body contouring, allowing initial sinking followed by delayed support, depending on your weight. It's among the best mattresses for side sleepers with hip pain, shoulder, and back pain. Maintaining spinal alignment requires a sleep surface with balanced comfort and support. Take a friend with you on your mattress hunt to check if your spine is aligned correctly. Lie on your side and ask them to observe your spine. They can place a ruler or stick along your spine to ascertain proper posture. 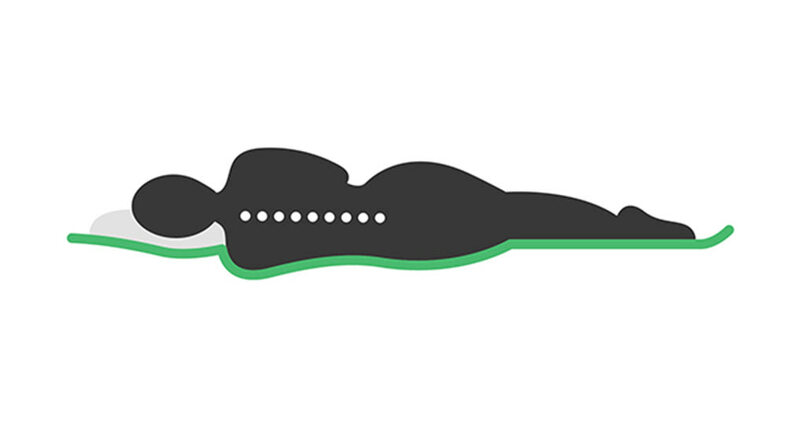 The Casper Wave and the Saatva, both are known to support your spinal curvature in all sleep positions. Pillows are crucial for keeping your neck aligned properly with your back. Perfect pillows for side sleepers keep the neck elevated enough to bring it in line with the spine. Getting a pillow for proper neck support surely helps keep neck pains away. As you lie on mattresses in store, note any numbness or tingling sensation in arms or legs. If the mattress surface isn't soft enough, your weight ends up causing a lot of pressure on your body parts. The pressure hinders blood circulation, causing distress and disturbing your sleep. If you don't feel any pins and needles after lying for 10-15 minutes, the sleep surface is suitable for a restful slumber. The Nolah mattress with its AirFoam allows just enough sinkage to prevent any undue pressure. Winkbed has a plush surface with a lot of give. The gradual sinking supported by the hybrid construction ensures pain-free nights. Winkbed Plus is an ideal surface for heavier side sleepers who love "in the mattress" feel but also require a mattress that can support their weight well. Lumbar support is as crucial for a side sleeper as it is for those who sleep on their back. As you lie down, the mattress should conform to the curves of your flank. Ask the salesman to show you beds with zoned support. Many mattresses have unique features in the lumbar region to improve support and resist sinkage. Zenhaven and Casper, both feature different foam densities in the middle-third of the mattress. Thus, the foam holds your flanks up as hips and shoulder sink into the bed for pressure-relief. Flank support is so crucial that you can find specialized pillows and support wedges on the market to ease the side sleeping discomfort. No one sleeps in a single position all night. We may start by sleeping in our primary sleep position, for instance, on our left side. But, during the night we shift sides and roll onto our front or back multiple times. Therefore, while testing mattresses in-store, change sides and spend some time on your back and front as well. Notice if it's difficult or easy to change positions. The adjustment time, i.e., the duration in which foam conforms to your new position may disrupt your slumber. Memory foam is usually less responsive as compared to pocketed coils. However, in hybrid compositions, the foam layers and springs combine to form sleep surfaces, best for all sleep positions. eLuxury Hybrid and DreamCloud are quite popular among combination sleepers. Both feature microcoils compression system for ease of movement and a subtle bounce. If you prefer a softer sleep surface, look for Memory foam in the mattress composition. The conforming foam provides you enough sinkage for your sensitive points. On the other hand, it molds your spinal curve to keep your body aligned properly. The Bear is an exceptional Memory foam mattress for an active lifestyle and improvement of athletic performance. The Memory foam and transition layers do an excellent job at relieving stress from your dense muscle mass. If you like firm beds, look for the presence of pocketed coils in your mattress. The independent coils conform to your spinal curvature much like Memory foam. Since they are flexible, they support you well and prevent any aches and pains. Hybrid mattresses like Sapira have a plush surface with gradual sinkage, ideal for side sleepers of any build. Looking for a showroom now… where you can test some remarkable sleep products for side sleepers. You're in luck because SleePare showroom has some of the best beds and bedding products at your service. Visit us now to test the best mattresses and pillows from numerous reputable online mattress brands. SleePare helps you with your mattress hunt, both online and offline - for free. Our web portal has in-depth analysis and comparisons for a large number of slumber products. At the same time, SleePare New York showroom gives you a cozy in-store testing experience. Come, talk to our friendly sleep experts and let them lead you to the sleep of your dreams.